Patrick Cologne is a musky fragrance for men. Patrick is a musky cologne spray for men with a fresh note that is packaged in classic Irish design inspired by Saint Patrick, the patron saint of Ireland. 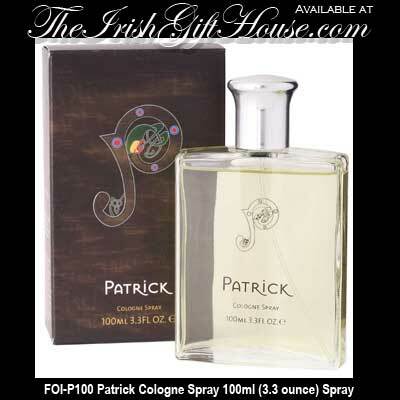 The Irish Gift House offers Patrick cologne in a 100ml (3.3 ounce) spray bottle and it is an ideal Irish gift for a man. This Irish colgne is made in County Wicklow, Ireland by the Fragrances of Ireland.